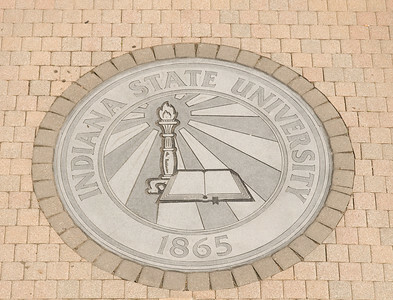 The Indiana Commission for Higher Education on Friday unanimously approved a request from Indiana State University to offer a master's of science degree in physician assistant studies. Students entering ISU in the Spring 2011 semester may enroll in the program, offered through the College of Nursing, Health, and Human Services, that builds upon ISU's already strong nursing, health, and human service programs. The curriculum of the physician assistant studies program is geared toward students who already hold bachelor's degrees in related fields or have experience in health care professions. The degree is a seven-semester, 93-credit-hour program. Students in the first year of the physician assistant studies program will spend much of their time in the classroom studying bioscience, health behavior theory, clinical management and related courses. The second year and final semester of the curriculum is designed to place students in clinical settings. Biff Williams, dean of the College of Nursing, Health, and Human Services, said the college began in July 2008 investigating the potential for offering this program at ISU. Associate Dean Marcia Miller, with the assistance of an outside consultant, worked to develop the curriculum and advocate it throughout the university, Williams said. The benefits of having such a program on campus are numerous, Williams said. "We'll have 90 new graduate students on campus that will be future health care professionals when they leave ISU," Williams said. "This will also decrease healthcare workforce shortages that are abundant throughout the state and the nation. State officials and others recognize that ISU is contributing to reducing those shortages." To support the teaching requirements of the program, ISU plans hire two new faculty members, a program coordinator and a medical director that will work one-quarter time. Williams hopes to admit 30 students to begin study in the Spring 2011 semester, and 30 additional students in the following two years. Following the vote of the Commission on Friday, ISU Provost C. Jack Maynard said he was very pleased with the outcome. "When we formed the new College of Nursing, Health, and Human Service, we charged the faculty to develop new and exciting programs that would meet the needs of the residents of Indiana," Maynard said. "This program is the first product, and I hope it is the first of many. "I am so proud of the faculty and leadership team of the College of Nursing, Health, and Human Services," he said. Williams echoed that response and said he was excited about the opportunities ISU faces through this new area of study. "I am proud of the faculty within the College of Nursing, Health and Human Services and the University. They saw this as an opportunity to take another step in launching ISU forward. They saw that this would be good for us as a whole and moved quickly to support and endorse it," he said. Indiana State President Dan Bradley said implementing this program of study coincides with the university's mission. "For ISU, this is a great step toward advancing our strategic goals regarding programs of distinction," Bradley said. "But ultimately, the residents of the state of Indiana whose medical needs are underserved will benefit as well, and that's very gratifying." ISU is a partner in the Rural Health Innovation Collaborative, a partnership of education, health care, local government and economic development entities dedicated to building on Terre Haute's reputation for innovation in preparing health care professionals to meet the unique needs of rural America. The Indiana Commission for Higher Education on Friday offered unanimous support for a program that will be admitting students for the Spring 2011 semester.